Once again, we can look forward to one of the nicest outdoor car shows in this area. It is now said that this is Canada’s Largest Outdoor Car Show, the annual Fleetwood Country Cruize-In at the Steve Plunkett estate in London, Ontario. The estate is located at 9282 Elviage Dr. London, Ontario. This year the show will be on June 1, 2, & 3 2012. * Saturday evening June 2nd, there will be a dinner show with Paul Revere and the Raiders. Doors open a 7pm and tickets will be $89. * Sunday June 3rd, the car show continues from 7am till 4pm. We will be treated with a performance by the Square Dancing Tractors “Team Farmall”. 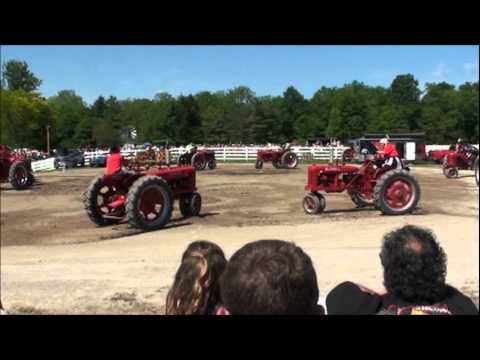 I have recorded part of last year’s performance to give you an idea of the precision and unique driving abilities of these vintage tractors operators performing to a good old square dance routine. 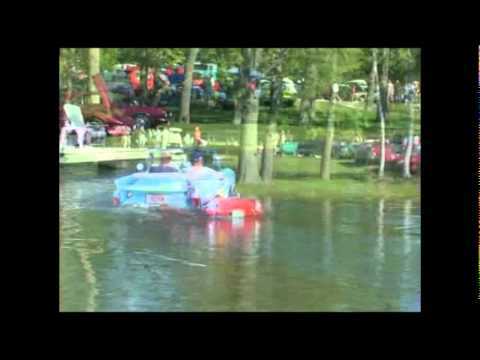 The Amphicar group, or floating motor boat cars as I call them, will be in and out of the ponds located on Steve’s golf course. Below is a short video to give you an idea of what to expect. The car show itself has had 3500 cars on display, with celebrity appearances by George Barris the “King of Kustomizers”, and American Graffiti stars, Bo Hopkins and Candy Clark. Fortunately the weather has co-operated for each of the years I have attended. There have been some dicey moments in past years but the skies and Mother Nature always came through for this charity event. Hopefully the same will be true for this year’s event. Last year was the first year the event continued on to Sunday. As luck would have it, I could not make it to the show on Saturday and attended on Sunday instead. I was a bit concerned that the car show would be much smaller than on Saturday but was pleasantly surprised and not disappointed for attending on Sunday. I did a bit of a walking tour with the video recorder of the Fleetwood Country Cruize-In. If you did not make it to the show or are considering coming for the first time, view the video just to get an idea of what to expect. This is truly a spectacular show and only 15 minutes’ drive from the home of http://1929fordhotrod.com . I am looking forward to seeing everyone there.